Has Carnival Zimdancehall Showcase Crowned Naka Dhula Dhaka? 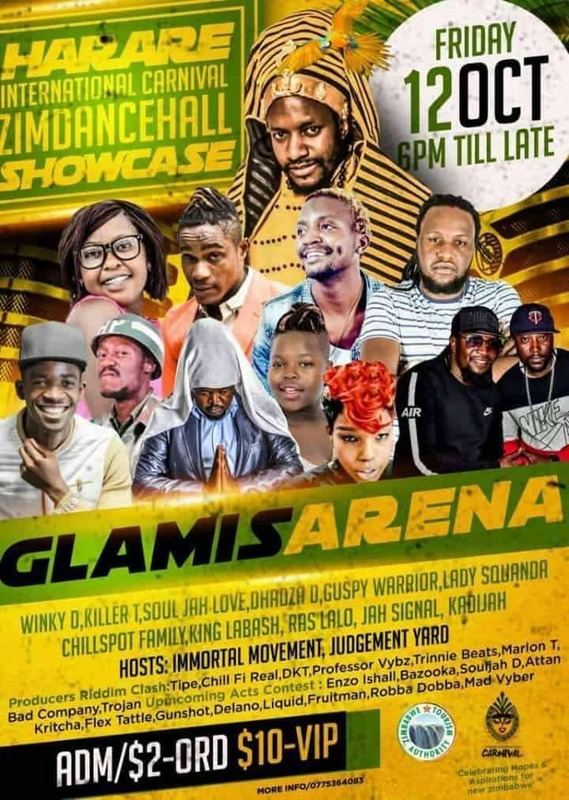 With Winky D, Soul Jah Love, Killer T and Jah Signal headlining the Harare International Carnival Zimdancehall Showcase at Glamis Arena tonight, organizers of the event, Zimbabwe Tourism Authority have obviously gone for the creme de la creme of the popular genre. But with Mbare born and bred Zimdancehall sensation, Seh Calaz missing out from the line-up, could it be that Hatipisike hit-maker has failed to make the grade as a heavyweight worthy slot at the much hyped event? What with the inclusion of Soul Jah Love who has of late been engaged in a clash with Seh Calaz following the release of their albums on the same night earlier this month. While ghetto youths have been divided on whether Jah Love’s Naka Dhula Dhaka is better than Ndakatumwa from Seh Calaz, there has not been an answer to the question of who is better between the two. Now, the absence of Seh Calaz on the carnival list could have crowned Naka Dhula Dhaka ahead of Ndakatumwa.